Energy is nether good nor bad; it just is. The same electricity that is used by a chiropractor or a physical therapist to stimulate your muscles and promote healing with a TENS machine is the same electricity that is used in prisons to execute people in electric chairs. So, is electricity good or bad? The answer is neither. It's just a question of what frequency and amplitude you use and how you use it. Charge your body with the right frequencies and you prevent disease. The same laser light that is used to shoot down enemy missiles or as a death ray in a movie is also used by your eye-doctor to improve your vision via Lasik surgery or by your plastic surgeon to remove facial hair and wrinkles. Again, the difference is merely one of frequency and amplitude. The proper use of energy in the healing arts has a long and significant history. From the TENS machines and laser surgery that we've already mentioned to the use of sound waves to break up kidney stones, or X-rays and magnetic fields to see into the body to the use of light to clean the blood. Some forms of energy are more effective than others. As we will see, scalar energy is merely another application of healing energy. It is the application of science as nature intended. We are about to talk about some things concerning health and nutrition that are probably brand new to you. This topic is not inherently difficult to understand, but since it represents a total paradigm shift in how you will look at health and nutrition, we will have to proceed slowly. Also, in order to explain everything, we will have to touch on some very esoteric areas such as higher mathematics and sub-atomic particles. Don't panic. It won't be too involved, and after every difficult section, I will summarize what you just read and tell you the key points you need to remember. All of the energy that we normally think of is characterized by both particle and wavelike properties. The waveform of all these energies can be graphed as a hertzian wave (either in the form of a sine wave or a step wave). We're talking about everything from electricity to magnetism, from light to sound. The only difference between all of these forms of energy is how fast the waves rise and fall (the frequency) and how intense those rises and falls are (their amplitude). Scalar energy, however, is a different animal. Understand, scalar energy has always existed – since the beginning of time – however, it's only recently that scientists have discovered and begun to make use of it. It was actually back in the mid 1800's that the existence of scalar energy was first proposed in a series of 4 groundbreaking equations by the Scottish mathematician, James Clerk Maxwell. Don't even think about trying to understand these equations. Just as a minor reference, H refers to the magnetic field. E refers to the electric field. Most of the other symbols are Greek letters such as epsilon and delta. The upside down triangle represents the Vector Differential. It was almost a half-century later before Nicola Tesla actually was able to demonstrate the existence of scalar energy. When Tesla died, he took the secret of scalar generation with him, and it took almost another full century before science was once again able to positively demonstrate the existence of scalar energy and turn to an exploration of its potential. First, it's more field like than wavelike. Instead of running along wires or shooting out in beams, it tends to “fill” its environment. Scalar energy can regenerate and repair itself indefinitely. This also has important implications for the body. In other words, once the charge is implanted, you can keep it there by regularly replenishing the charge. In the New Age community there has been much talk of the benefit of things like Tachyons, Radionics, and Pyramids, etc. Analysis shows that these are all, at heart, scalar generating devices. Actually, scalar waves can be generated in many ways. For example, you can generate them Electronically, Magnetically, Physically (by the motion of a mobius strip), or Optically (by the movement of phased patterns on a computer monitor). You can actually buy wristwatches that incorporate moving mobius strips that generate protective scalar fields. There are many liquid crystal structures in the collagen network comprising all of the space between cells – also capable of holding a charge. We are going to get very abstract, for one final moment, before we begin to simplify everything and bring it all together. So just hang in there for a little longer. There are Quantum Mechanical models that describe subatomic particles such as Excitons, Plasmons, and Solitons that can store and carry biological information along macromolecules in response to low level scalar energy. In other words, scalar energy is capable of imprinting itself on your very DNA. Before we move on to the benefits of scalar energy for your health, it would be worth dwelling for a moment on what proof exists that everything I'm talking about is real. It is possible to measure scalar fields, but most people don't have the required equipment. Therefore, let's turn to a form of proof that we can see right now – Kirlian photography. A Kirlian photograph is merely a specialized kind of photography that images the bioelectric field that surrounds all objects – particularly living objects. Here are two pictures of lentil sprouts – identical, except for the fact that the lentil on the left has been soaked in very hot water for a minute or so. According to the U.S. News and World Report article, since it has more moisture in it, it should conduct more electricity than the unblanched lentil on the right and produce a brighter field. As you can see, the exact opposite is true. (If you're looking at a black and white printout, the greatly expanded red area appears dark gray.) And that's why the National Institute of Health and Cambridge University, among other major institutes, are studying Kirlian photography, despite claims to the contrary. So what can we learn about scalar enhanced products through Kirlian photos? Well, the absolute most important thing we can learn is that the scalar charge is, unquestionably, embedding itself in the products. Below are just a couple of examples of products before and after embedding. The bottom line is that experience tells us that the more alive something is (the more organic it is) the bigger its energy field will be. Increase the energy covalent level of every single hydrogen atom in the body as verified by spectrographs. This is significant because covalent hydrogen bonds are what hold your DNA together. In other words, the right scalar frequencies can protect your DNA from damage. Improve cell wall permeability thus facilitating the intake of nutrients into each and every cell and the elimination of waste from each and every cell. Cleanse the blood improving chylomicron levels (protein/fat particles floating in the blood) and triglyceride profiles and fibrin patterns. Improve mental focus as demonstrated by increased amplitude of EEG frequencies. Balance out the two hemispheres of the brain, again as measured by EEG tests. Work as an antidepressant since it inhibits the uptake of noradrenaline by PC12 nerve cells. That's right; as if all of the benefits we've listed so far were not enough, exposure to the right scalar frequencies may very well play a significant role in preventing and/or reversing cancer. Cancer cells are, almost without exception, low voltage cells. As I mentioned earlier, the optimum cell voltage for most cells in the body is in the 70-90 millivolt range. Cancer cells are almost exclusively in the 15-20 millivolt range. There have been many theories proposed as to why this is true. The most likely one is that as cell voltage starts to drop into the range where the very survival of the cell may be called into question, the cell begins to proliferate uncontrollably in an attempt to guarantee its genetic "survival." If you raise cell voltage (which is exactly what can happen when exposed to scalar frequencies), the cell no longer needs to proliferate wildly. In effect, it can become "normal" again. The implications for this in treating cancer could be profound. Which frequencies do we embed? There are two key frequencies we focus on. First, is the Schuman Resonance. This is in the 7.8 - 8 range. It is the frequency the earth emits when there is nothing around – nothing manmade and no plant or animal life around. It is the innate frequency of the earth. The other frequency is closer to 12 HZ. This is the frequency that you will record in a rainforest – again with nothing manmade around. These are the core scalar frequencies that accomplish everything we've talked about in this report. Copyright © 2002-2010 The Baseline of Health Foundation. All rights reserved. Kindly advise where I can buy products with imbedded scalar energy. Hi Delfin, As for supplements, the only trusted nutrition company we know of is Baseline Nutritionals. All their products are inflused with scalar energy in a specialized process called BioEnergization™. We currently have many product to choose from for humans and pets. Our web site is: www.buyphd.com . We believe we have the best visual documantation available to the public to actually see in thermal video what the our scaler products do when introduced to the proximity the the human body. Everyday we learn more about the simplistic harmoney we can take from nature. want to use it to treat 15years cronic hypertention.thank you. You can go to their website and click on "shop" and see a price list of their high-end supplements. Note that their use of scalar energy is only a small part of what makes their products unique and powerful. What products embedded with scalar energy would a person need to use to fight cancer? I recommend for you to read Jon Barron's book, "Lessons From The Miracle Doctors." It is a step-by-step health guidebook with detailed instructions on how to naturally reverse disease. You can download it for free on this website (see link at top "Free Book"). Hope that helps! Jon's book certainly is a fascinating read. I learnt so much and continue to learn from this website. The idea of energy and how it powers everything in the universe especially amazes me. I'm keen to know more about the signature that scalar energy implants on solid objects. Can I collect the signature of different scalar frequencies and amplitudes in my autograph album? Also I am very excited about the prospect of scalar energy being able to repair itself and regenerate indefinitely. This sounds very much like a perpetual source of energy or motion. I think you might be on to something here! Pleas send more info. Hello, I would like to know if the scalar energy embedded on products will never expire or leave? I've been asking this question but nobody gave me a sure answer. I hope you can address this. Thank you very much! Unfortunately, the answer is a variable. On the plus side, the higher the quality of the product to start with, the longer it will hold a charge. High quality “alive” organic type products actually will often display a stronger charge after 6 months then when first charged. On that basis, embedded products could hold their charge indefinitely.… until the charge is displaced by something else. In the real world, many things can displace the charge – such as being stored near household wiring running a 60 cycle frequency, or an appliance running the same frequency, or radio, TV, and WiFi frequencies. The stronger the opposing frequency, the faster the displacement. In normal circumstances, you’re probably good for 12-24 months. Thank you for a wonderful write up om Scalar Energy, there is so much out there allot opf disinformation from CLOSE MINDED PEOPLE as usual, but since I have read this and you all seem to me anyways to be an authority on the subject. I am am Amertican who just moved to the Philippines to retire. I was just invited to a dinner / seminar on Japanese technology Quantum Science,Fusion Excel International, with a range of Scalar products from Pendants, bracelets, water containers, cell phone shields,to bed shields among others. As I am NOT a member of their organization, I am hoping you could give me your take on this company & their products if you know about them, if you wish to make a disclaimer before your statement, I am just trying not to make a very bad and exspensive mistake! I am NOT trying to start a war or trouble I just want the"TRUTH" about stuff is all. I look forward to your reply. I just wanted to tell you that I have been using the scalar pendant from Fusionexcel for some time now and have past of many to other people they seem to have a good effect with not one person saying there was no change, weather in more energy and or the headaches had gone. I also have one in our drinking water and always wave the pendant over my food before eating.. On a personal note, my wife haemoglobins since she was diagnosed with (SLE) lupus was around the seven mark since wearing the pendant within the first month the HB were 10.5. For three months they stayed the same and now they seem to stay at the 9,7 mark. I think personal and after study of this scalar energy we all could do with it. hi, my mom gave me a scalar energy pendant. I would like to know if its safe for pregnant women to wear it? I would directly ask the manufacturer you bought it from. Note, we don't evaluate health products on the market since what is good today may be not so good tomorrow due to manufacturing short-cuts. What we do at the Foundation is offer guidelines, empowering readers to evaluate products that come and go on the market. If the pendant that you got is authentic from Fusion Excel then the answer is yes its safe for pregnant women. Just to re-echo that this article is very impressive. However, the answer to the question of scalar energy enhanced product expiration did not fully treat the question. There is no need carrying a product around that has lost its charge after 6 months. Like it was said that the effect is better cumulatively, how can one measure the remaining life span of the enhanced product in use? Is this topic all about long life and almost free from sickness. There has been a topic from national geography when certain doctor went to three places in the world where he found people ranging from 90 to 120, according to his report all of this people are active, like going up the mountain without getting tired, swimming in a lake in winter time, farming using ordinary tools, and they found out this people does not have in any form of cancer, loss of memory etc, because of the test they have done to this people. And you know what is the secret to this people. They where shock, because they went to three places on earth but still this people are doing the same lifestyle of eating habits......The answer to this is the food they eat. If you want to know all about this watch in youtube type in raffy villanueva. We dont need to understand this scalar energy. This people whose age is 90 to 120 dont know about this scalar energy, but they manage to have long life and free from sicknesses, and the only concern for them is the food they eat. I have painstakingly gone through your write ups and have come to the conclusion that the conventional medical practice need to learn a lot from not just allopathic(drug based treatment) medicine but from alternative medicine. My personal experience is startling and dumbfounding as a certified medical practioner. My clinical experience with scalar energy device (the biodisc is one of such device) has corroborated a large part of your report. From cancer management to diabetes reversal to stroke and connective tissue disorder management. The potential for healing is huge. What about Orgone Accumulator? Doing some research and wondered if they were the same in effects. thank you so vry much on your report on scalar energy and its benefit,pls i to know how the bio. Are all the supplements offered by Baseline Foundation infused with scalar energy? The website doesn't appear to make any mention regarding scalar infusion for the supplements I looked at. The Baseline of Health Foundation does not make or sell any products. We are purely an information resource. 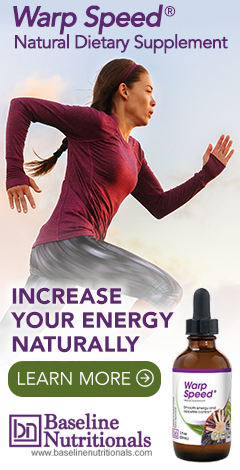 Baseline Nutritionals is the company that sells all of Jon Barron’s formulas and exposes all products to a bio-energization process to maximize their efficacy.